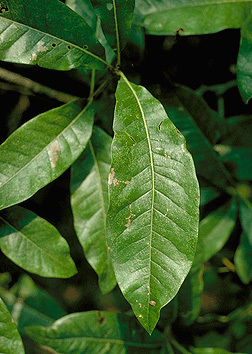 Leaf:Alternate, simple, 3 to 7 inches long, broadly lanceolate, unlobed with a single, terminal bristle-tip, somewhat leathery, shiny dark green above and paler and fuzzy below. 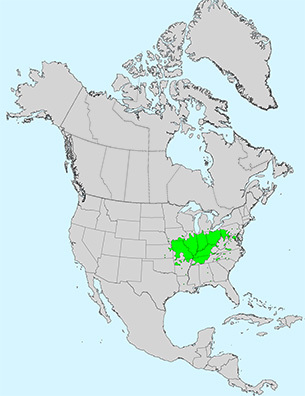 Flower:Species is monoecious; male flowers borne on hanging slender catkins; females borne on short spikes, appearing with the leaves in spring. 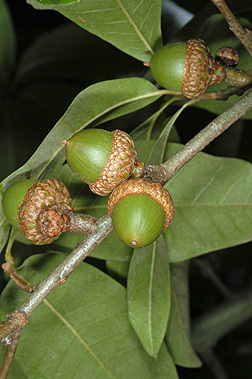 Fruit:Acorns are 5/8 inch long, 1/3 to 1/2 covered by a thin, bowl-shaped cap with appressed light brown scales, matures in the fall after two years. 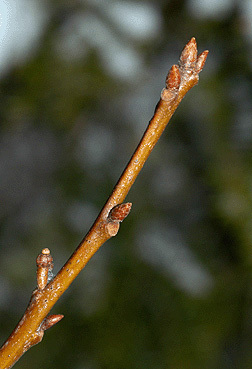 Twig:Slender, olive-green to orange-brown, quite lustrous with conical, pointed, red-brown buds. 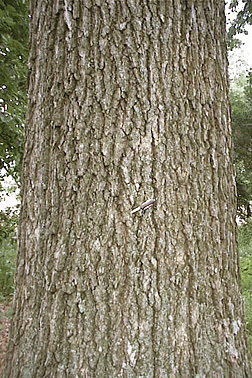 Bark:Gray-brown, tight and quite hard, with broad, irregular ridges and very shallow furrows. 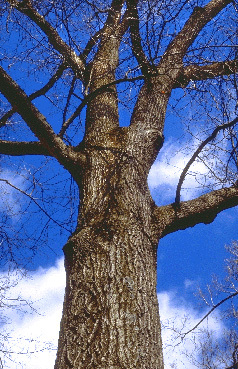 Form:A medium sized tree to 70 feet with pyramidal to oval and later rounded crown. 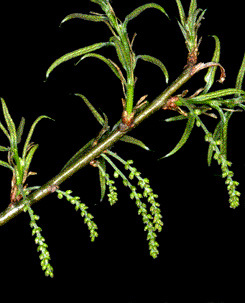 Lateral lower branches often droop.